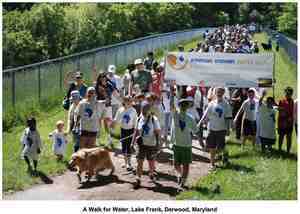 Join A Walk for Water! Greetings from Washington, DC! As the blossoms of spring inspire us to awaken from a long winter, our Heroes of Compassion are stepping into action. I'm excited to tell you about our Spring Campaign! 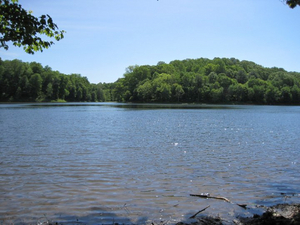 For those who live in the DC metro area, you are invited to participate in the 5th annual A Walk for Water on May 14th at Lake Frank in Derwood, Maryland. Each year, students, teachers and families from several schools and groups come together to walk three miles in solidarity for the children and families in the Azawak of West Africa who daily struggle due to the lack of water. Please register and create an online fundraising page here: A Walk for Water at Lake Frank, May 14th. You can also download an event information kit with materials to support students including a paper sponsorship collection form. While we rejoice in being together as we walk the beautiful and lush trails around the lake, we have the opportunity to take action towards a greater purpose. Last year's Walk raised funds to complete the Kijigari Montessori Well of Love. This year, the money raised will go towards empowering the people who live in Amman Imman's three villages - Tangarwashane, Kijigari and Chinwagari - to use the water that flows from their borehole to generate economic and community vibrancy that will truly manifest the potential of their Oasis of Life. Currently we are aiming to raise at least $50,000 to install and support ongoing projects that will result in economic stabilization, food security, education and women's empowerment. These include especially adapted sustainable agriculture techniques, rain water harvesting, reforestation, livestock rejuvenation, adult literacy programs, a woman's garden, a food and sewing cooperative, and a children's garden. Funds raised from activities, such as A Walk for Water events being held in Washington DC, Virginia and Ohio, Amman-a-thon Fitness Festivals in South Carolina and Maryland, and other fundraisers in places like California and Paris, France, will also go towards furthering the impact of these Oases of Life. We welcome you to host an event in your own community! Whether or not you can join us on May 14th you can help! Visit Amman Imman's page hosted on Firstgiving.com to make a donation. Sign up to raise funds yourself, or support one of our Heroes of Compassion. Together, we can empower our youth as leaders who are helping to make a better life for the people of the Azawak! Thank you for showing all of the different ways to give back and help in coming months. Click here for more information about Montessori schools.